What is Mobsync.exe and Why Is It Running? You’re probably wondering what the mobsyc.exe process is doing running in Task Manager or why there’s a green and yellow icon in the Notification Area. Here we will take a look at what it is, and how to disable it if you don’t use the feature. 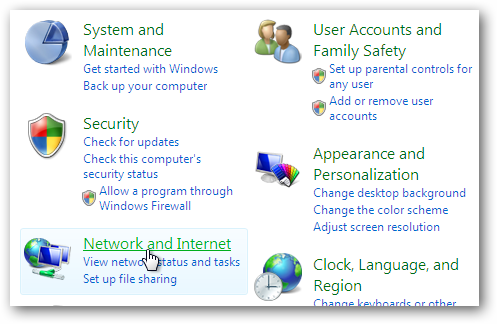 If it gets activated for using Offline Files, it will show up in the taskbar in Vista and Windows 7. So you’re not sure how the heck it got turned on, and want it off. 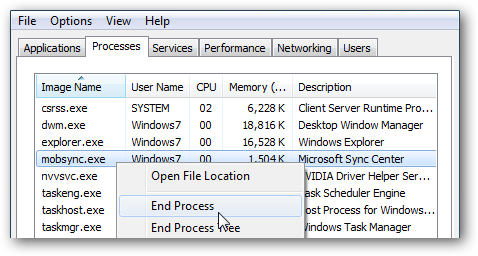 You could go into Task Manager each time and end the process, but that is extremely annoying. Click on the Start Menu and enter offline files into the search box and hit Enter. 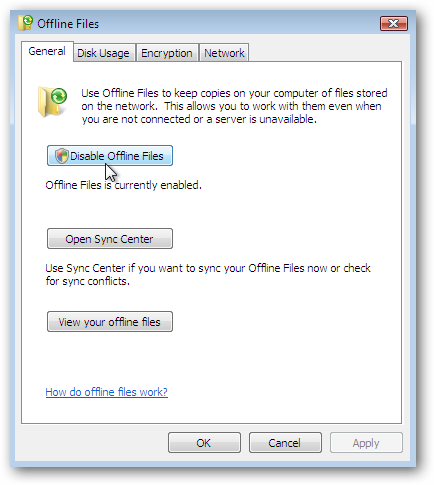 In the Offline Files window click the Disable offline files button then click Ok.
You’ll need to restart the computer for the new setting to take effect. 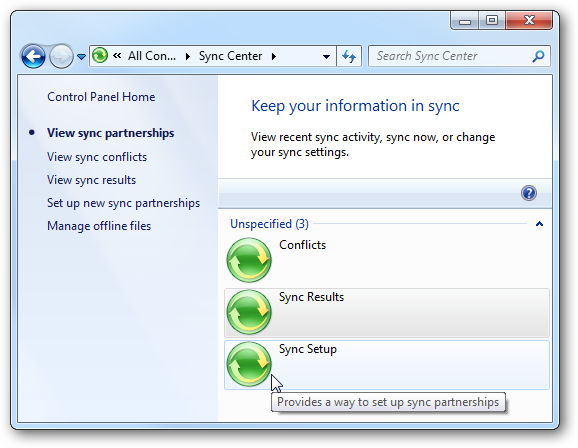 After a reboot, the Sync Center icon should be gone and not be running in Task Manger. Next click on Offline Files. 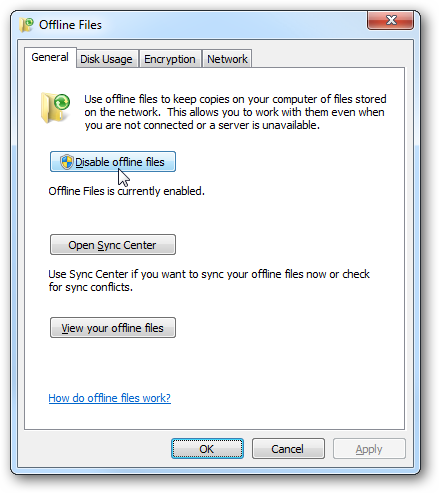 In the Offline Files window, click on the Disable Offline Files button and click Ok.
A restart is required and after that, it should be disabled and you won’t see it in the Taskbar or running in Task Manager. 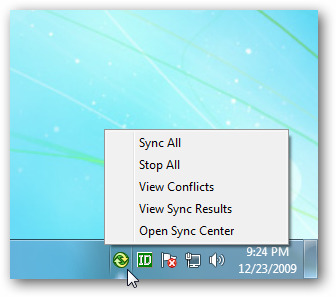 If you have a home version of Vista or Windows 7, you will see mobsync.exe running in task manager, but closing out of Sync Center should stop the process. If you were using Sync Center and ActiveSync to manage a mobile device and no longer need it, you can uninstall ActiveSync software and it should stop mobsync.exe as well.